About Park, Nelson, Caywood & Jones, L.L.P. Park, Nelson, Caywood & Jones, L.L.P. is one of the oldest law firms in Oklahoma and has been a fixture in the community for more than a century. The firm was originally founded in November, 1901, by Judge Frank M. Bailey (1876-1859) who was later joined by Harry Hammerly (1888-1966), also considered an early day legal pioneer of Chickasha. Since those early days, the law firm of Park, Nelson, Caywood, Jones has carried on the longstanding tradition of dedication and personal service that Mr. Bailey and Mr. Hammerly began. In 1949, Robert B. 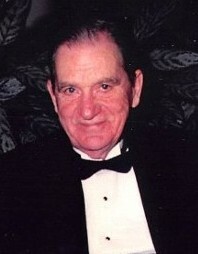 Park (1924-2005) joined Bailey and Hammerly. A graduate of the University of Oklahoma, he served aboard ship in the U.S. Navy in World War II, and retired from the U.S. Army (Reserves) Judge Advocate General Corps in 1976. He was elected to the Board of Governors of the Oklahoma Bar Association, was chosen Vice President of the Association in 1974, and is a lifetime fellow of the Oklahoma Bar Foundation. He retired from the active practice of law in 1992. John M. Nelson, a lifetime resident of Grady County, also attended the University of Oklahoma, where he received his Bachelor's degree in 1961, and graduated from the University of Oklahoma College of Law in 1963. After working in Oklahoma City and Washington, D.C., he returned to Chickasha and in 1968 joined Mr. Park to continue the longstanding tradition of the firm Mr. Bailey and Mr. Hammerly had begun. Over the years Mr. Nelson has been active in a variety of civic community and educational activities. He is formerly a member of the Oklahoma Crime Commission and former President of the University of Oklahoma Alumni Association. In 1984 he was inducted as a Fellow of the American College of Trial Lawyers and served as the Oklahoma State Chair of the College for a two-year term. In 1971, Robert Park and John Nelson invited Kerry W. Caywood to join the firm. Kerry spent most of his childhood years in Watonga, Oklahoma. He left Watonga to attend Oklahoma State University and received his Bachelors Degree in Geology in 1959. After graduation he spent a year in the oil and gas industry. In 1960 he began classes at the University of Oklahoma College of Law and graduated with John in 1963. After graduation, Kerry worked as an attorney in general practice in Oklahoma City, Oklahoma. In December 1969, he began working part time as Oklahoma Assistant District Attorney and part time as an associate with the firm. At the conclusion of his public service, Kerry joined Robert and John as a partner at the firm. Kerry has been active in the community and served for several years as President of the Grady County Mineral Owners Association, and as a member of the American Bar Association, the Association of Trial Lawyers of America, and the Oklahoma Trial Lawyers Association. 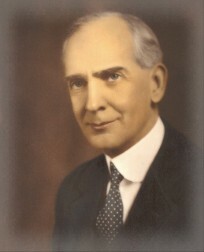 Charles W. Park received his undergraduate and Juris Doctor degrees from the University of Oklahoma. A lifelong resident of Chickasha, he returned to practice here in 1976. Charles has been a Director of Chickasha Community Theater, Inc., United Way of Chickasha; was on the founding Board of the Chickasha Public School Foundation (President, 1990-1993); and also on the Board of Sooner Girl Scouts Council, where he was Treasurer for six years. He has been Municipal Judge in Chickasha, Ninnekah and Verden, OK.
Angela Caywood Jones, the daughter of Kerry Caywood, is also a lifetime resident of Chickasha. Angela received her Bachelor of Fine Arts degree from Oklahoma State University in 1993 and received her Juris Doctor, graduating with highest honors, from the University of Oklahoma College of Law in 2000, and is a member of the Order of the Coif. Prior to joining the firm, she served as an associate at the law firm of Crowe & Dunlevy in Oklahoma City. In March 2003, Angela returned to Chickasha to join John, Kerry and Charles. Angela is a member of several legal organizations including the Oklahoma Bar Associaion, Oklahoma Trial Laywers Association, and the Association of Trial Lawyers of America. She has volunteered her time serving many different boards and organizations including the Oklahoma Board of Bar Examiners, USAO Foundation Board of Trustees, City of Chickasha Library Board, Grady County Law Library Board, Past President of the Chickasha Rotary Club, and is a member of the Grady County Mineral Owners Association. Jamie Martin Caves is a lifetime resident of Grady County. Jamie received her Bachelor of Science degree from Oklahoma State University in 1997 where she was named one of the University’s Top Ten Graduating Seniors. She was a Justice Harry Halley scholar at the University of Oklahoma School of Law where she received her Juris Doctor degree in 2000. Prior to joining the firm, Jamie served as legal counsel for the Oklahoma Department of Agriculture and the Oklahoma Insurance Department as well as spending several years in a corporate setting as Vice President and General Counsel for several entities. Jamie is a member of the Oklahoma Bar Association and serves as the Secretary of the Oklahoma Self Insurers Association while also volunteering her time to several boards and organizations. She also serves as an Adjunct Professor, teaching both employment law and compensation law courses. . In addition to legal work, Jamie also consults on all aspects of human resources, risk management, benefit/compensation and training through Essential Employment Services (www.useessential.com). Park, Nelson, Caywood & Jones, L.L.P. is founded on a strong belief in the personal relationship between client and attorney and a desire to succeed on behalf of every client. We are a full service firm that handles a range of civil matters such as probate and estate planning, real estate law, oil and gas law including environmental law and land pollution matters representing the individual mineral and surface owners, personal injury, family law, business organization and guardianships and conservatorships. Park, Nelson, Caywood & Jones, L.L.P. sets itself apart from other law firms by our strong commitment to each other and our clients. We treat each other and our clients with respect, courtesy and fairness and communicate openly and honestly. In everything we do, we are committed to representing the full interests of our clients. If you have any questions, or would like to speak with one of our attorneys, please do not hesitate to contact us, or call now at (405) 224-0386.